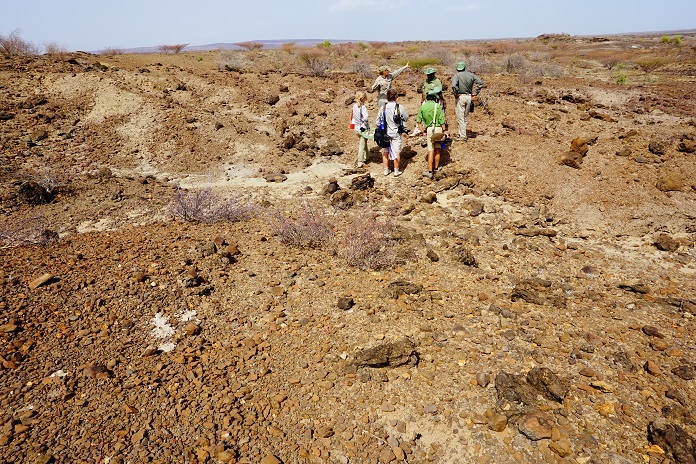 The Lake Turkana Basin in northern Kenya is a legendary region with numerous paleontological and archaeological sites where many groundbreaking discoveries have been made by the Leakey family and their team, who have been working here since the mid-20th century. Some of the best-known finds made here include Turkana Boy, which is the nearly complete skeleton of Homo erectus, a 10 year old youth dated to 1.5 to 1.6 million years ago and Homo habilis, an ancient representative of the human genus, Homo, thought to have been using tools as early as 2 million ago. In fact, it was the Leakeys who gave this hominin this name Homo habilis or “Handy Man” that is known world over. 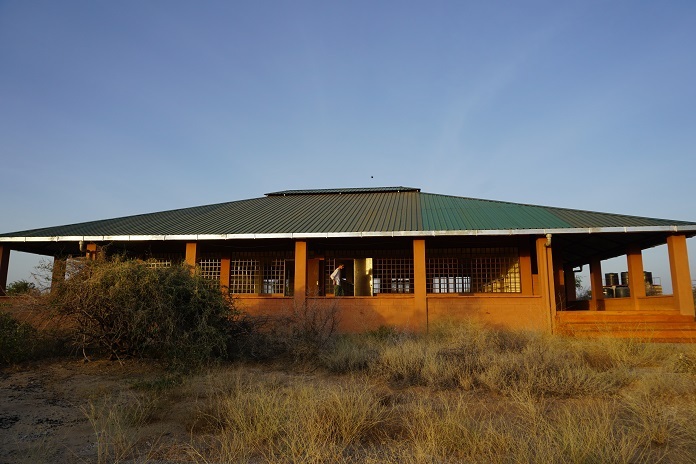 After decades of work at Lake Turkana, the Leakeys established the Turkana Basin Institute (TBI), which facilitates new research in this region. In the summer of 2014, TBI acquired Artec Eva, a precise 3D scanner for large objects, and Artec Spider, an HD 3D scanner for smaller objects, and received training from Artec’s Denis Baev. 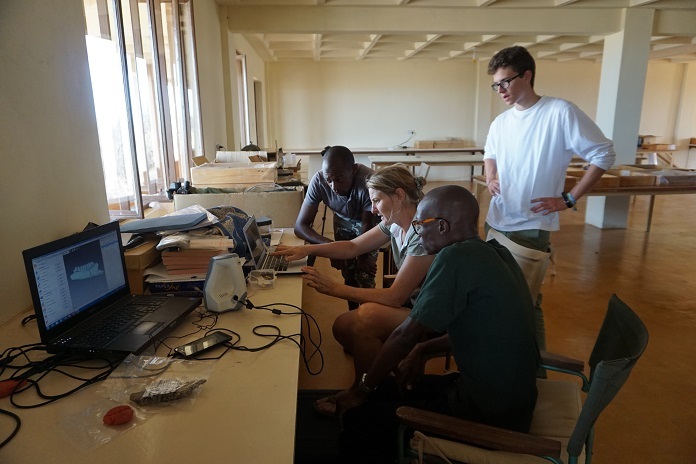 The team lead by Louise Leakey has been 3D digitizing fossilized samples from TBI’s extensive collection. 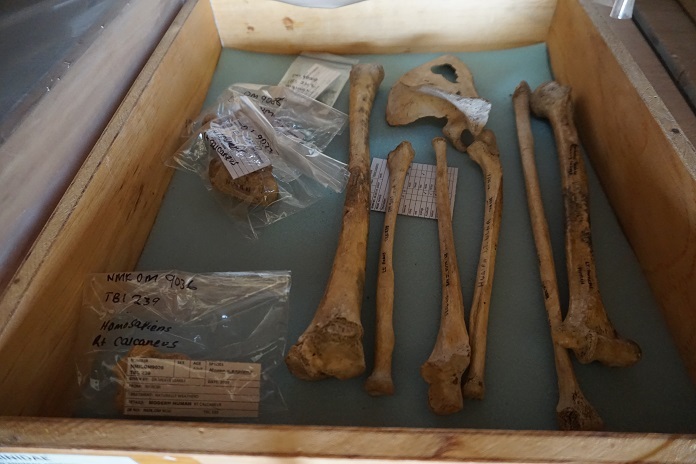 TBI welcomes researchers who help at the excavation site and in the laboratory, scanning the bones of prehistoric animals and hominids. 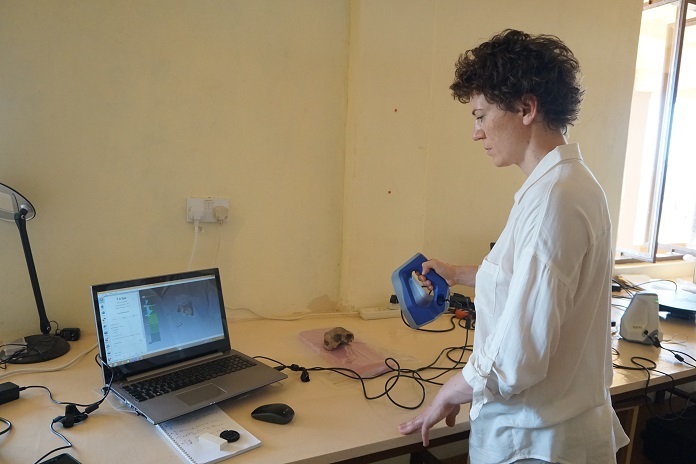 One such researcher is Natalya Prilepskaya, a postgraduate paleontology student of Moscow State University, who went to Lake Turkana to scan fossils using Artec Eva and Space Spider 3D scanners. At TBI, the challenge was to make the most of my skills. It was no easy task, but nothing is impossible. Most of my learning practice occurred “in field conditions.” 3D scanning resembled working at the potter’s wheel, which was nice since I always loved making ceramics. The scanner not only collected information about the object – it “touched and felt” it. The result you were getting was a “live” 3D shape, as though it was molded from clay. 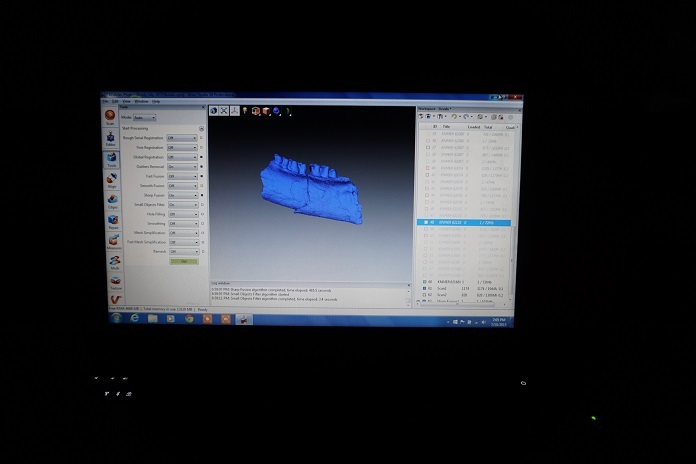 But to actually obtain a 3D model, I first had to learn how to operate the scanner so it didn’t lose tracking. To do that, I had to keep my eyes on the screen, not on the object. So I had to adjust myself to working in that manner. In the beginning, my eyes would switch from the screen to the object and back every now and again. When I looked at the object, my hand would often make a wrong move, and the scanning area disappeared from the green field [in Artec Studio]. Also important was the speed of scanning. With Space Spider, you should go slowly and smoothly, without making any jerky movements. It’s a bit different from making a quick all-around scan with Eva. For scanning with Space Spider, a rotating table would work fine, but there weren’t any at TBI. Another thing to learn was stopping once the scanner has collected enough data. I’d sometimes do unnecessary repetition, going over the same area again. As a result, the project turned out to be too large, and processing took too long, due to the excessive amount of data. 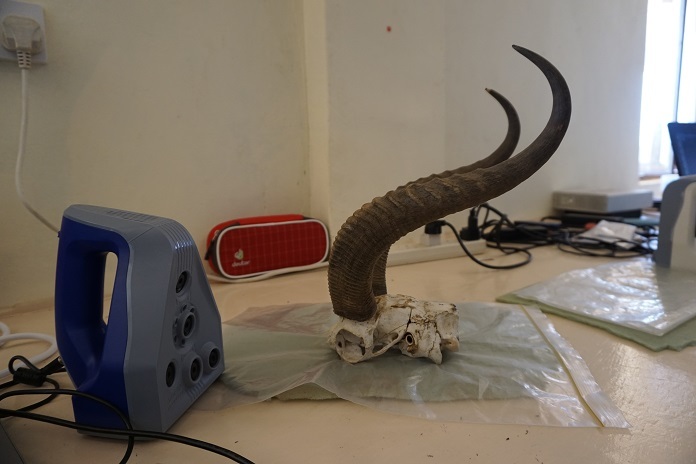 On my first working day at TBI I got my first paleontological sample to scan – the skull of a baboon (Papio Anubis) dated at 1.8 million years ago. I was lucky to work side by side with the institute’s staff Timothy Gichunge and Robert Ngechu, from whom I learned a great deal. It was very convenient to work in the same lab, as I often turned to them for advice. The guys were always glad to help me. I asked Timothy to do a master class for me so I could see how he scans. This turned out to be a great idea! It was very useful not only to get practice scanning alone, but also to watch a pro doing it. Timothy would move Spider around an object very smoothly, without making a single wrong movement – sufficient minimalism. And the quality of his final projects was just superb. I wanted to learn how to scan as proficiently. Timothy found a simple substitute for a rotating table – he placed smaller objects on a file pocket and turned them around, holding the edge of the file pocket. It actually was a great solution because of the material’s transparency: Space Spider didn’t see the transparent background and therefore didn’t scan it. This reduced the time spent on cleaning the model from unwanted data and removing the table. After a few training sessions, I began to work on perfecting my skills. I’d sometimes ask Timothy and Robert to watch me scanning and correct me if I were going wrong. It proved to be extremely helpful. It was nice that I happened to teach Timothy one trick that I was once shown by my husband Sergey. When scanning the curvy antlers of an antelope, Space Spider could lose tracking on the tips of the antlers, as they were very thin and just “hung” in the air. If you put a piece of paper with text or images on the tip of an antler, the scanner will take it as an anchor and maintain tracking steadily. When editing the project, the paper is deleted. Climate also played a role in my learning. It was extremely hot on the site. Despite the fact that the room where I scanned was airy, the laptops would often overheat. To make them work longer, we put them on flat plastic containers with ice, replacing those once ice had melted. Another factor to consider was strong wind. It blew all the time, bringing huge amounts of dust and sand, which permeated every hole and crack in our hardware. 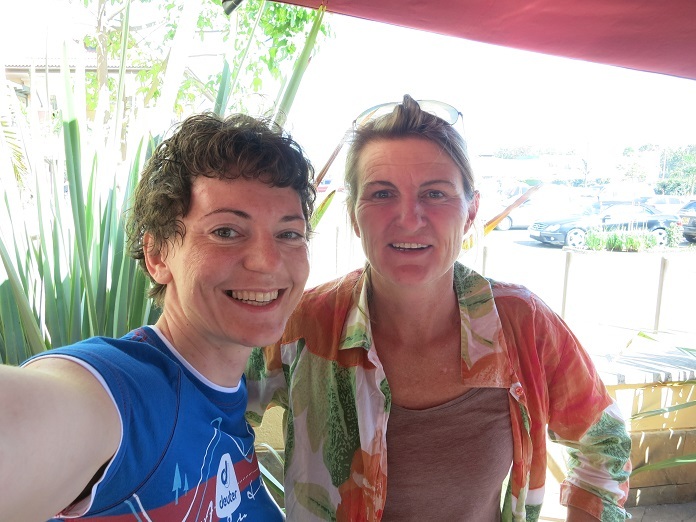 Dr. Meave Leakey uses a transparent protective cover for her laptop to protect it. I was very lucky to have almost no insects around while I worked. Usually at this time of the year there are hordes of insects in the area, making it impossible to work in the evening, as they are drawn to the bright screen glowing in the dark. This problem is solved by using special software that changes the color of the screen. For Macs, for example, it’s Black Light. 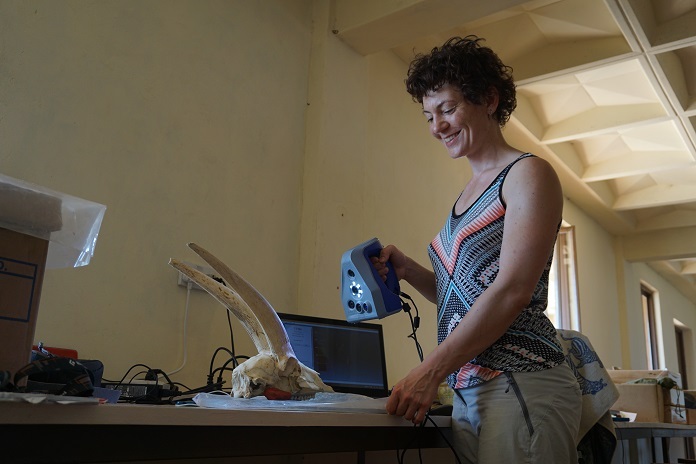 During her stay at TBI, Natalya scanned a total of seven skulls of mammals that inhabited the Turkana Lake area in the Pleistocene – Holocene (2.6 million years ago until present). 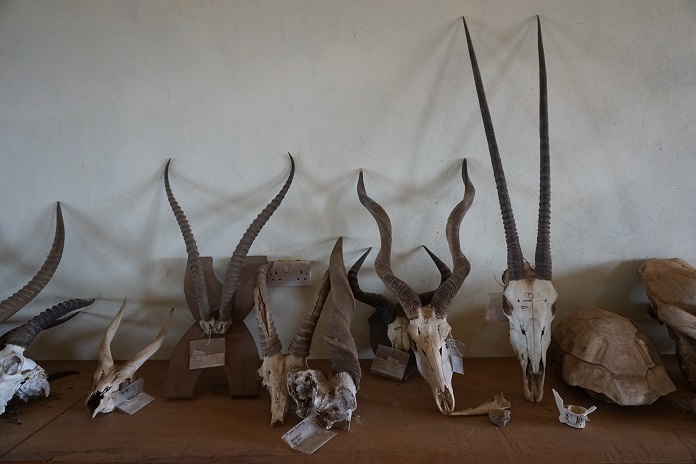 The finished 3D models were posted on the AfricanFossils.org website in the 3D printing section, where any registered user can download and print out the model they need. The importance of creating a collection of 3D models of hominids and animals is hard to overestimate. 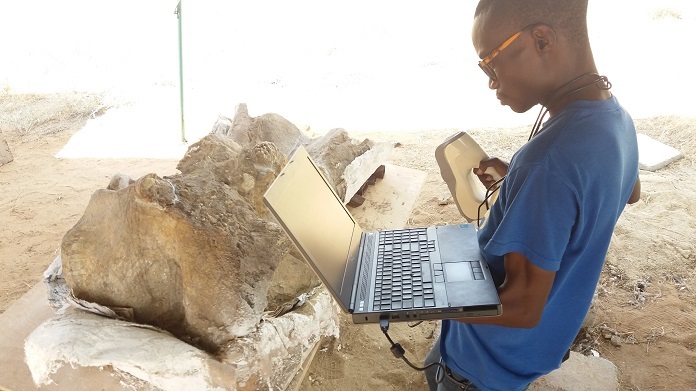 First of all, 3D scanning technology allows a researcher to get precise data for the geometry of a paleontological sample. One can use a ruler or caliper to measure samples, of course, but such measurements are neither complete nor accurate enough. Likewise, photos and drawings do not always reflect the shape of an object accurately. Secondly, 3D scanning helps preserve information about the shape of a sample. Even fossils that look strong can disintegrate, especially if they are exposed to sunlight, wind, rain and fluctuating temperatures in the field. 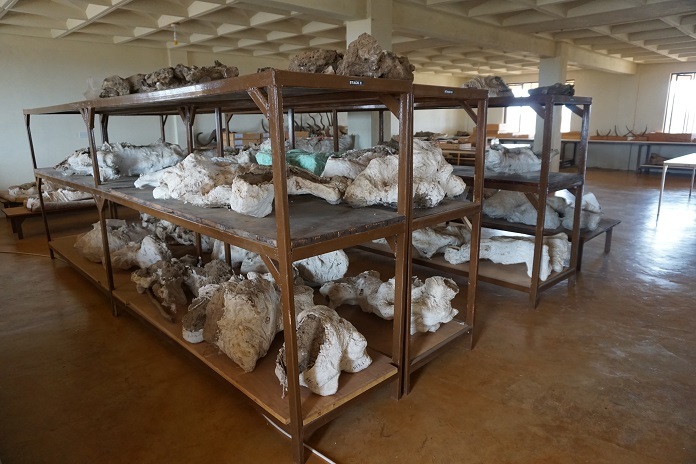 And even if an object is stored in a museum, it can still fall apart due to humidity, unfavorable temperatures and other destructive conditions. A common negative factor affecting fossils is pyrite disease which causes the fossil to rot and crumble. This disease starts in oxygen rich environments, with moisture, temperature changes, pressure, and bacterial activity contributing to its development. Precision 3D scanning allows you to save an accurate 3D image of an object in natural color. The resulting model contains all the necessary information about the object, including its measurements, which enables researchers to work with the object without direct contact with it. 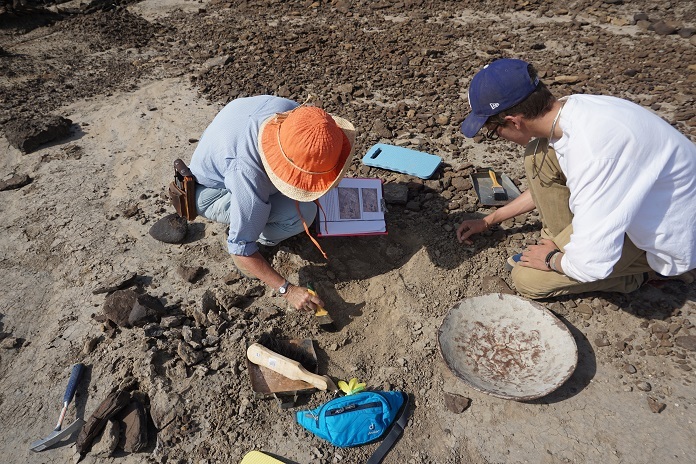 Thirdly, the creation of 3D model collections facilitates broader exchange of information about samples: Scientists don’t have to spend time and money on a trip to an excavation site or a museum to see a sample. 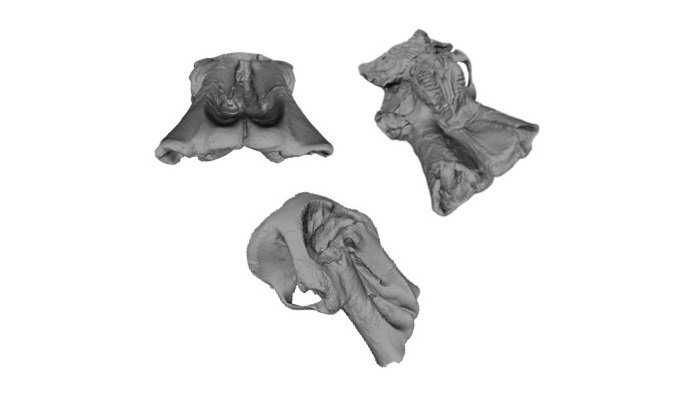 Several laboratories can work together, sharing 3D data about the morphology of specimens, which increases the efficiency and quality of their collaboration. 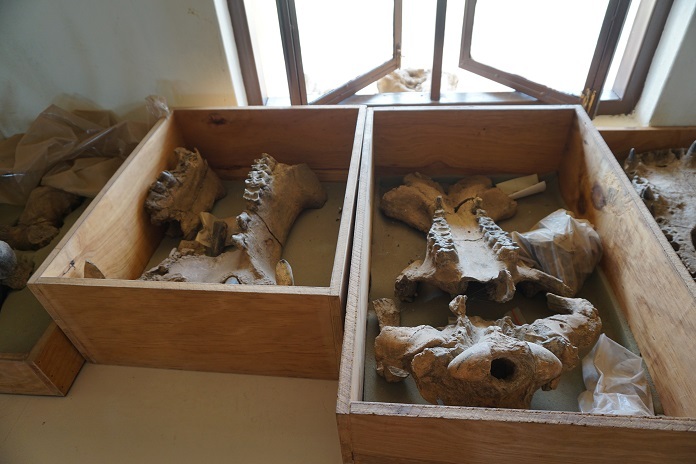 At TBI, one of the most recent large specimens scanned was a huge elephant skull which needed to be studied in detail and is very difficult to move or to turn over. 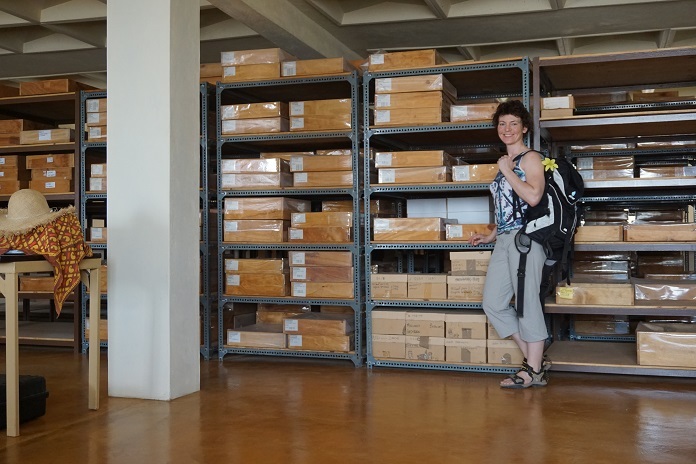 “Being able to scan the specimen and then use the detailed model has been very exciting,” said Louise Leakey. The sample was scanned with Artec Eva, and the data was processed in Artec Studio 11 3D object software, which reduces to the minimum the time needed to create an accurate 3D model of an object. 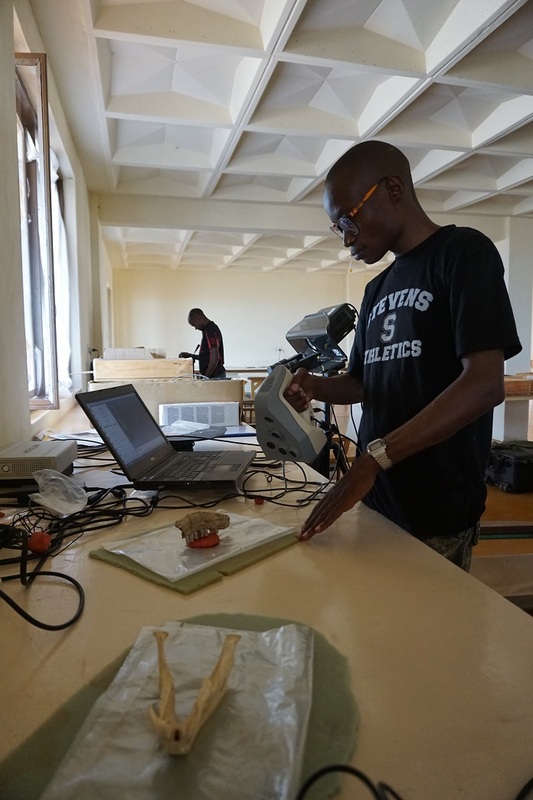 Ultimately, 3D scanning fosters education, since 3D models are often used as visual aids in the classroom. 3D models can be studied not only on a computer but also printed out on a 3D printer, which is becoming increasingly common. 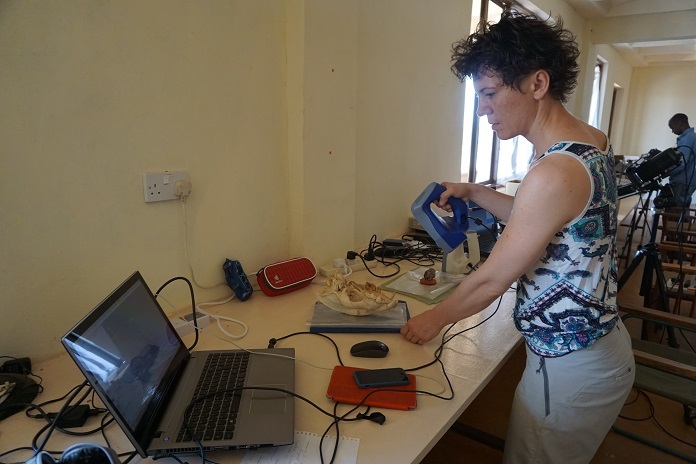 3D scanning has opened up a new chapter in paleontology, putting a powerful tool in the hands of researchers to preserve their fragile, priceless finds, engage a wider circle of colleagues in studying samples in greater depth than ever before, and inspire the younger generation to pursue the search for answers to fundamental questions about human origins. Researchers from Xi’an’s Northwest University utilize professional handheld scanners to digitally capture skeletal remains at the site of Emperor Qin Shi Huang’s tomb. The largest find of fossils of Homo naledi, a human ancestor previously unknown to scientists, has been 3D scanned with Artec Eva.